WOW – what an amazing museum! The California Academy of Sciences is our favorite museum in San Francisco. It’s the only place in the world that houses one of the world’s largest Planetariums, an Aquarium and Coral Reef, a Natural History Museum, and a glass-domed Rainforest – all under the same roof. Plan on spending the whole day here – there’s SO much to see. The Planetarium offers an incredible experience! See what it feels like to travel into space and explore the universe. We recommend that you get your Planetarium show tickets when you arrive at the museum before they sell out (they’re included in the price of admission) – the shows are extremely popular and the line gets longer throughout the day. Our favorite area of the museum is the Rainforest (middle picture above). Judging from the crowds, we’re not the only ones! Head over to the Rainforest early before the line gets too long. Costa Rica (the top level) is truly magical. Peer over the railings and look down through the center of the Rainforest – you’ll see free-flying birds and butterflies, and fish swimming below. It’s truly stunning! What’s even more amazing is the view of the Amazon-flooded Forest, located three levels below. Watch people under the 25-ft long acrylic tunnel as they gaze up at the fish swimming overhead. After visiting the Rainforest, take the elevator down to the museum’s spectacular 25-ft deep Aquarium (picture top left). It houses the world’s deepest (and the nation’s biggest) interior Coral Reef ecosystem – and over 3,000 exotic fish, including sharks, rays and sea turtles. Be sure to check out the Moon Jellies too. We could have stood there watching for hours – the sea life is incredible! Don’t miss the Penguin feeding (10:30am and 3:30pm) at the far end of African Hall – that’s when they’re at their most playful. Arrive early if you want to get a good view as this is one of the museum’s most popular attractions and the room fills up quickly. Take the elevator up to the 2.5-acre “green” Living Roof (picture top right) and open-air Observation Terrace – the views from the top are spectacular, especially on a fog-free day. Get a bird’s eye view of Golden Gate Park, the Music Concourse (and Bandshell) and the M.H. de Young Museum. The Living Roof features almost two million native California plant species, including perennial plants and colorful native wildflowers. Specialists are on hand to answer your questions, so don’t be shy. When you get to the Swamp (another popular museum exhibit), say hi to Claude – he’s the first White Alligator we’ve ever seen – and he’s quite stunning. Bonnie‘s the other alligator – they make quite a couple! All that walking around is bound to make you hungry. No worries – head over to the Academy’s spacious open Piazza, located just inside the main entrance. It’s a fun place to grab a cup of coffee and and a snack, relax and people-watch. There’s also the Academy Cafe offering food from the Mediterranean,Southeast Asia and Mexico -as well as a noodle station featuring Charles Phan’s Vietnamese classics. And then there’s the more fancy Moss Room – an intimate 65-seat restaurant showcasing Loretta Keller’s signature California-Mediterranean cuisine. If you haven’t visited the museum yet, or want to go back again, take advantage of the Special Offer going on NOW and save 20% on your admission ticket – and skip all the huge ticket buying lines. (Normally $24.49); the discount price is only $19.60. FYI… offer expires September 30, 2009. It’s a great last-minute FUN thing to do over Labor Day Weekend. This entry was posted in Fun Things to Do and tagged california academy of sciences, golden gate park, labor day, labor day weekend, living roof, San Francisco, san francisco, San Francisco Attraction, San Francisco Museum, science museum, sf, sf aquarium, sf attraction, sf coral reef, sf fun, sf museum, sf natural history museum, sf planetarium, sf rainforest, skip the line academy of sciences, skip the line california academy on September 2, 2009 by Alana and Barry. WOW – what a FUN experience! If you’ve ever wondered what it felt like to travel into space and explore the universe, this comes pretty close. We caught one of the shows at the NEW Morrison Planetarium at the California Academy of Sciences in Golden Gate Park during one of their “Nightlife” Thursdays – which by the way, if you haven’t gone to a Nightlife event yet, it’s a blast! There’s something special about exploring this museum at night – add in music and cocktails… and it’s a party! This entry was posted in Fun Things to Do and tagged california academy of sciences, Family Fun, Fun City Attractions, Fun Family Attraction in SF Bay Area, Fun Things To Do in San Francisco, golden gate park, living roof, morrison planetarium, nightlife thursdays, san francisco, San Francisco Museum, San Francisco Planetarium, sf museum, sf planetarium on March 21, 2009 by Alana and Barry. 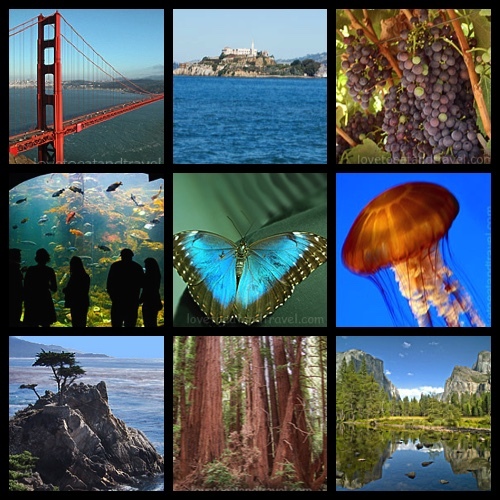 This entry was posted in Uncategorized and tagged california academy of sciences, Fun Things To See in Golden Gate Park, golden gate park, nightlife, nightlife at the academy, San Francisco Events, sf fun, sf museum on February 24, 2009 by Alana and Barry. What a FUN day out! The NEW California Academy of Sciences in San Francisco’s Golden Gate Park recently opened on September 27, 2008. It’s a “must-see” – especially if you have kids! Treat your family to a fun museum adventure over the Holiday Season – we can’t wait to go back again! This entry was posted in Fun Things to Do and tagged academy of sciences, california academy of sciences, Family Fun, Fun City Attractions, Fun Family Attraction in SF Bay Area, Fun Things To See in Golden Gate Park, golden gate park, moss room, san francisco, San Francisco Aquarium, San Francisco Museum, San Francisco Planetarium, sf, sf african hall, sf amazon forest, sf aquarium, sf attractions, sf coral reef, sf fun, sf living roof, sf museum, sf penguins, sf rainforest, the swamp white alligator on November 3, 2008 by Alana and Barry.